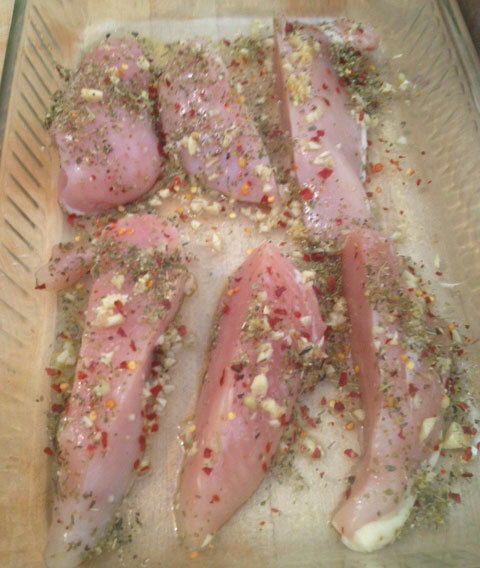 Can make this dish ahead and keep in fridge for several hours to marinate before baking. 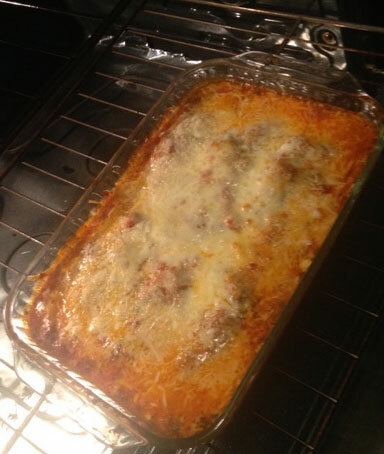 Use a 9 x 13 glass baking dish. Finely chop 3-4 cloves of garlic and sprinkle evenly over chicken. Add sea salt, cayenne pepper to taste and about one tablespoon of Italian seasoning. Top with about two cups jarred organic marinara sauce. Add one can of Organic diced tomatoes - strain out the water. Add a three tablespoons of tomato paste to thicken. Again add sea salt, cayenne pepper to taste and about one tablespoon of Italian seasoning and gently stir into tomatoes/sauce. 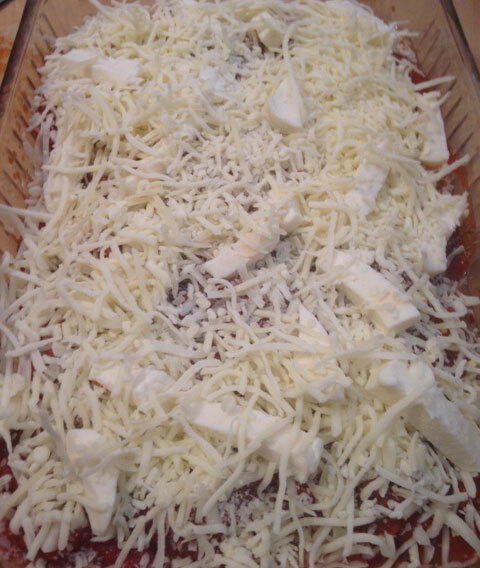 Top with about two cups of white cheese - I like the 4-cheese combo from trader joes. 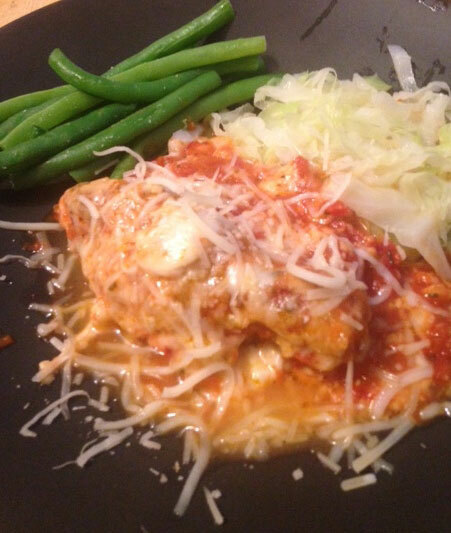 Top with about 1/4 cup of parm cheese. Serve with shredded, steamed cabbage. Also good with cooked wild rice (1/4 cup raw per person), and steamed or roasted broccoli or asparagus.